Wild Women of the Universe! 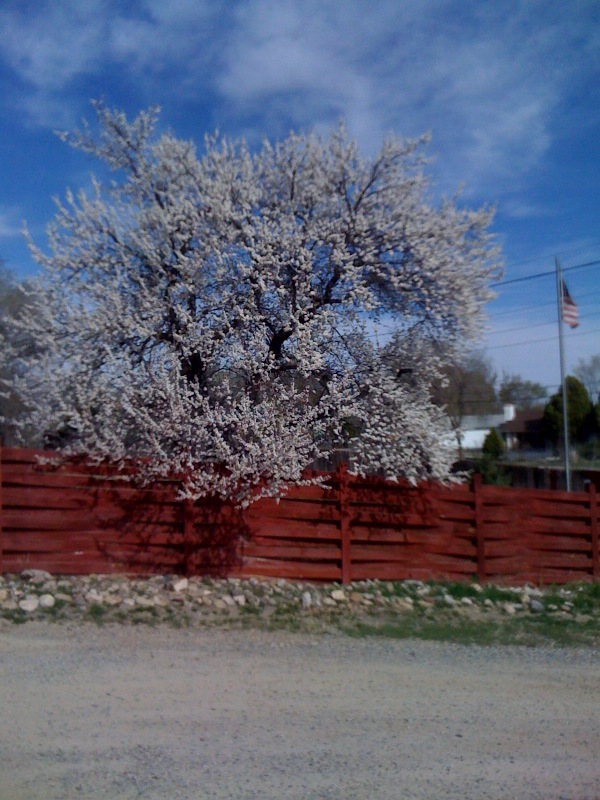 : Perfect Moment Monday -- Spring Blossoms! 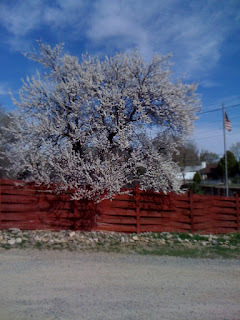 Each spring our neighbors' apricot tree announces that spring is here by blossoming the most beautiful white flowers. What started one day as a couple of flowers at the bottom of the tree, spread out to include the entire tree just one day later. There is a feeling of newness and being refreshed during the springtime -- not only with the plants, but also within me, as though things are just about ready to blossom. And seeing this beautiful apricot tree today reminded me how beautiful growth can be. Growth doesn't have to be painful. In fact, it can be quite beautiful! What a terrific analogy, that growth can be more like blossoming than like prying open against one's will. The apricot tree is also so stunning at the moment because the moment is so fleeting. I'm glad you captured it for us all to enjoy. Another thing I've noticed about spring (at least in my part of the world) is that sometimes it comes in fits and starts. We'll have a few warm days, and then a few "cold" days ('Texas cold' as a friend would say). Just like this, growth often comes in fits and starts, two steps forward, one step back. That is beautiful! All of our tree blossoms have turned into green leaves now.